Check out our event calendar for public volunteer opportunities, upcoming open houses, and committee meetings. If you are interested in learning more and/or perhaps going through our security check and orientation process, please submit a Volunteer Application by clicking the link below. We do everything we can to protect our patients/families, our resources, and the privacy of those who are involved with our organization. Requires: Background check, volunteer orientation, manager approval, and at least one volunteer assignment. Roles: Include direct contact with our patients/families/students and resources. Requires: Background check and volunteer orientation. Roles: Include direct contact with resources and/or program/planning information. Roles: Public events that do not have direct contact with resources or program/planning information. Q: Do volunteers have the opportunity to interact with Dragonfly families? A: It depends on the the volunteer's security level and the type of role they serve. The closer volunteers get to our Dragonflies -- and our resources/information -- the more protective we are. Q: What is Dragonfly's Student Programs and how can volunteers get involved? These programs are just more ways we work to build a community of support for our Dragonfly patients and families. Volunteers are needed to mentor and support these programs. 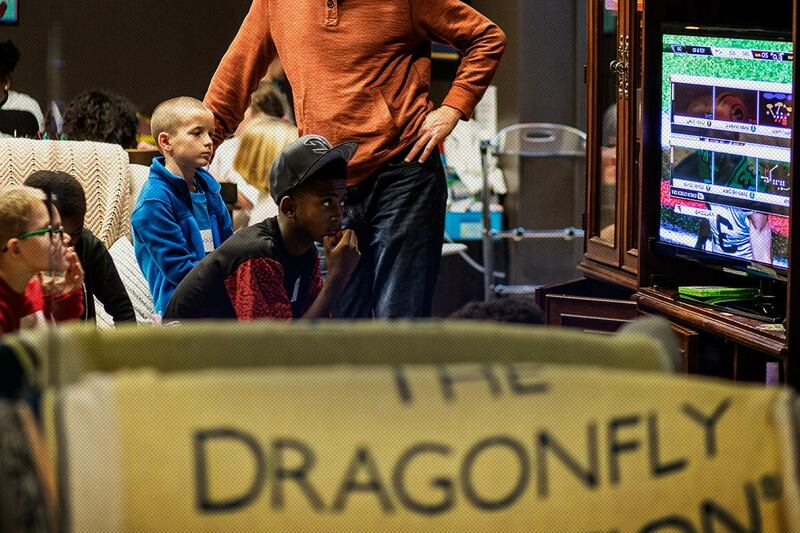 Q: How can minors and young adults support Dragonfly? If you'd like to know more about our Student Programs and ways for schools, parents, mentors, and students can get involved, please email us at M.Schahill@Dragonfly.org.